1. In a large bowl mix flour, salt, chilli powder, caraway seeds and oil. Add little water at a time and knead until it forms a soft ball of dough. Set it aside and cover. Let the dough rest for about an hour. 1. Divide the dough and grated cheese into 5 equal parts. 2. 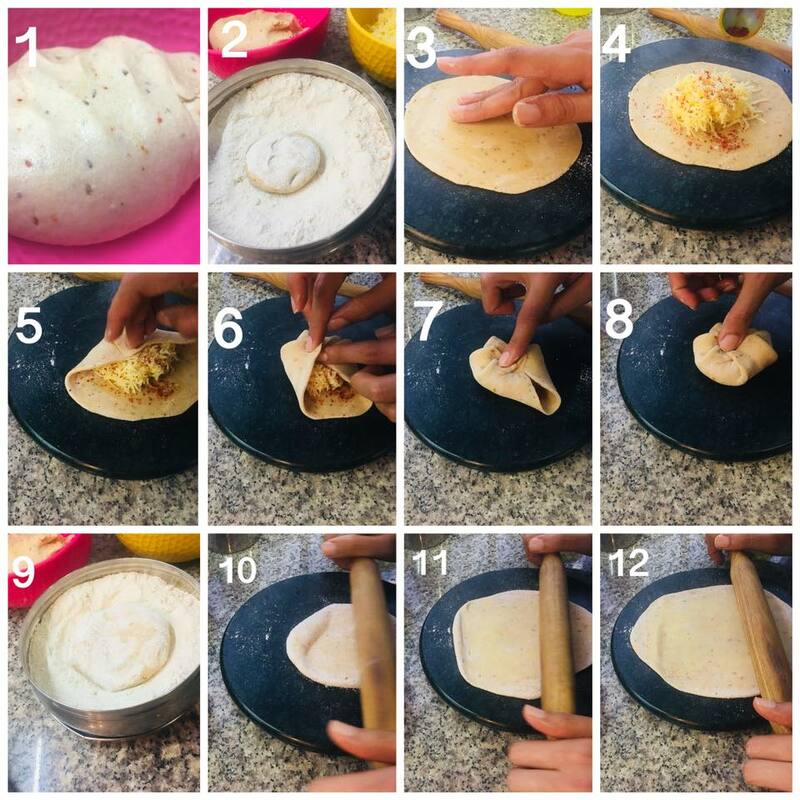 Take a ball of dough, make it flat between your palms, dip it in flour on both sides and place it on a flat surface. 3. Roll the dough into a 6 inch diameter circle. Brush a few drops of oil on it. Place a portion of cheese in the center followed by a light sprinkle of chili powder. Seal by pulling the edges of the rolled dough together like a dumpling to make a ball. (Remember your filling should be as much as the size of your dough ball). 4. Make the ball flat between your palms and dip in wheat flour on both sides. 5. Heat a skillet or heavy base frying pan on medium-high flame. 6. Using a rolling pin, roll the ball lightly into a thin uniform circle. Dust it with flour if it sticks. 7. 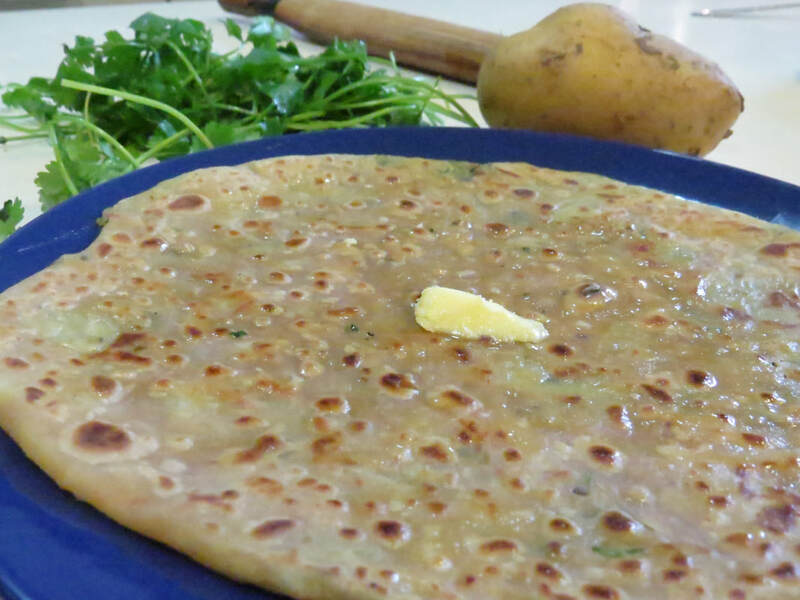 When the pan starts smoking, put paratha on it. Cook until the underside has brown spots, about 15 seconds, then flip and cook on the other side. One side of the paratha will be glossy because of cooked cheese. Brush the other dry side sparingly with oil/butter/ghee and fry for about 5 more seconds on that side to make it slightly crispy. 8. Continue with remaining dough and filling. Serve hot.